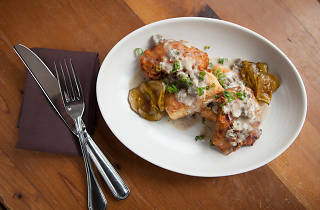 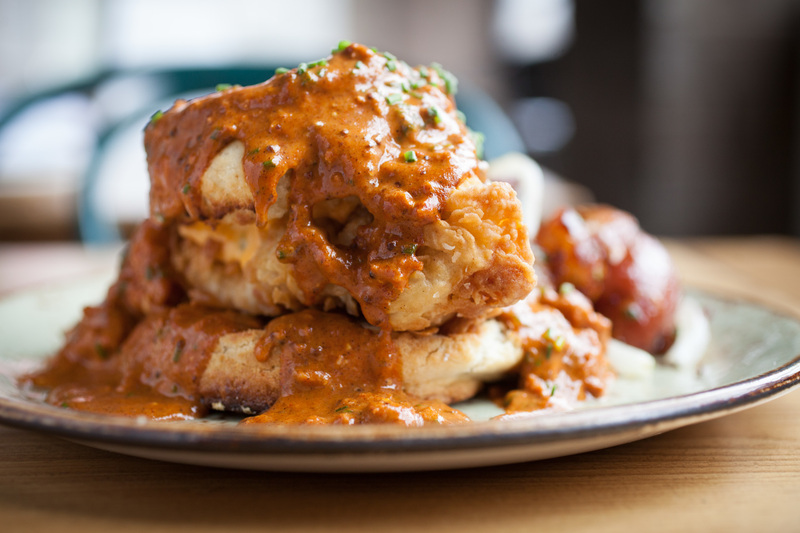 Photograph: Martha Williams The chicken ‘n a biscuit at the Bristol is one of the best biscuits and gravy in Chicago. 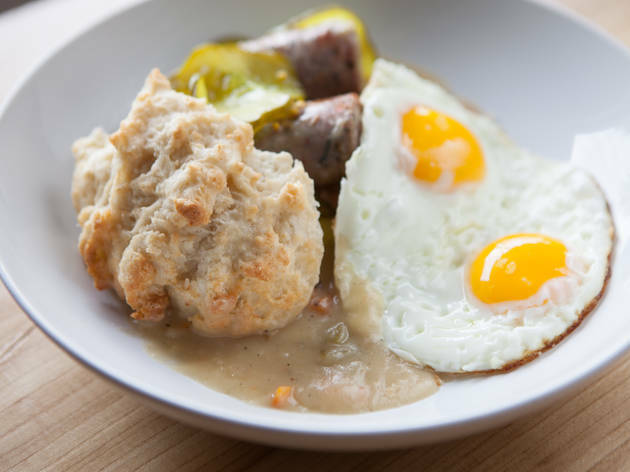 Biscuits and gravy is a simple dish, but when done well, it's hard to imagine a more perfect thing to eat at brunch. 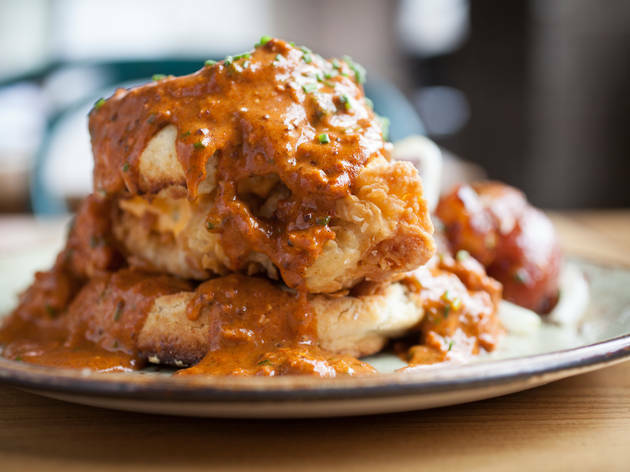 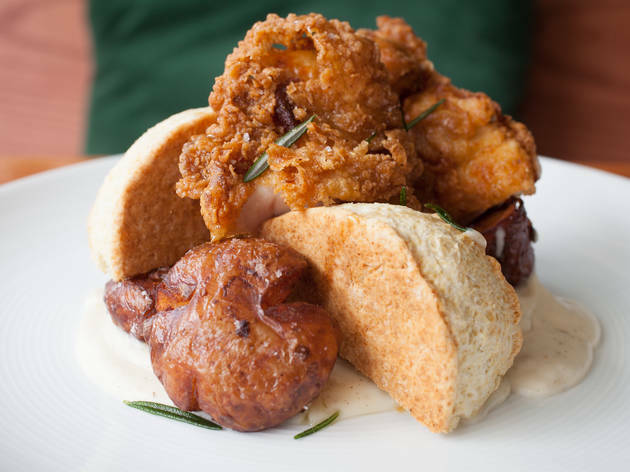 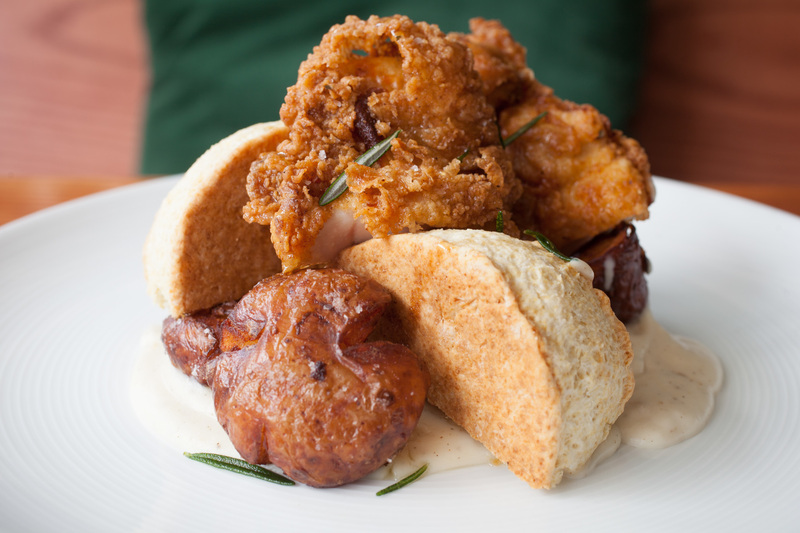 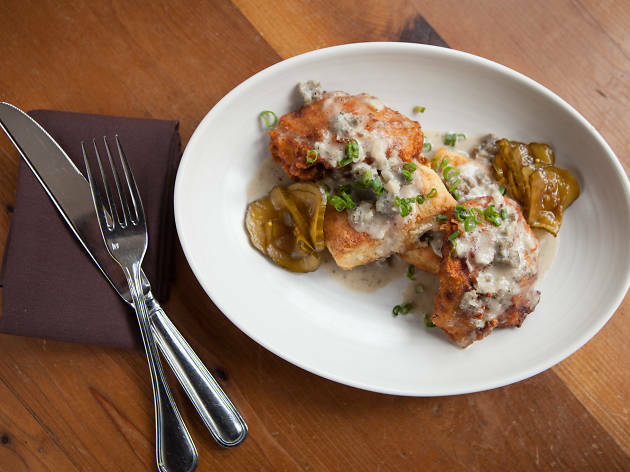 We devoured all kinds of biscuits and gravy this year, made with everything from lobster to seitan, but these four versions at Chicago restaurants set themselves apart, thanks to perfectly fried chicken, fluffy biscuits, unexpected gravy and other toppings.